15 years! I'm nearly 20, 5 years old when that Gruffalo arrived. With his terrible tusks, and terrible claws and terrible teeth in his terrible jaws. So how does a Gruffalo celebrate their birthday, maybe with some scrambled snake and owl ice-cream?! Or even a game of 'pin the tusks on the Gruffalo'. 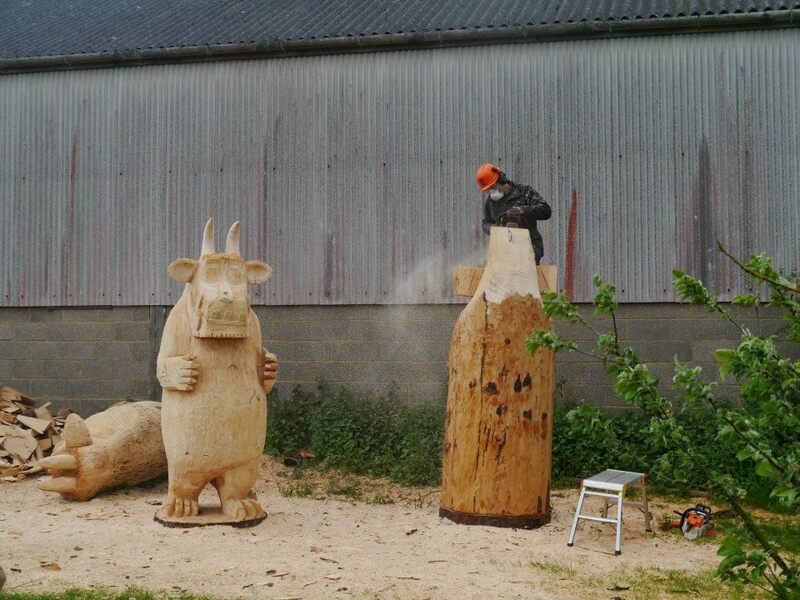 Well the forestry commission are celebrating, with life size sculptures of the Gruffalo across 15 sites. 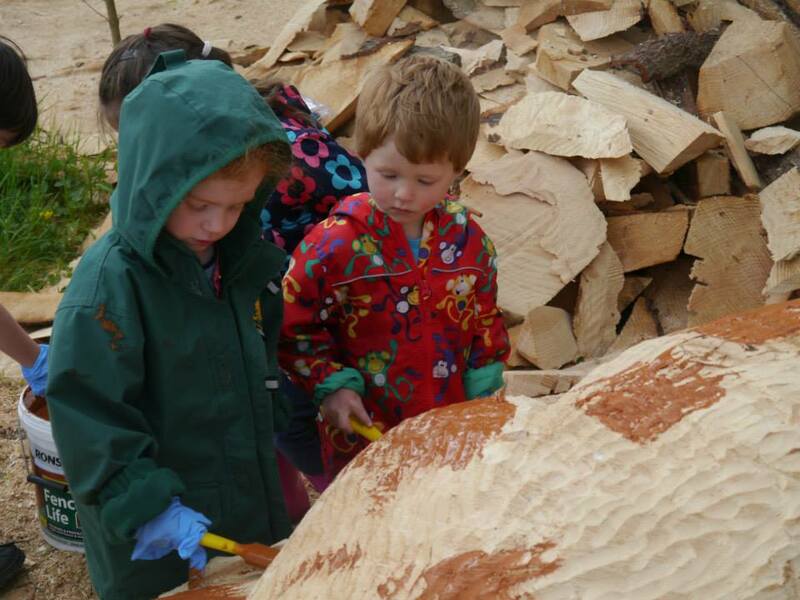 We were lucky enough to see the gruffalo's being made from scratch. In the sunshine, watching a clever man (Neil Bruce) with a noisy chainsaw, and even a chance for the children to get messy themselves with a bit of paint. We were very lucky... 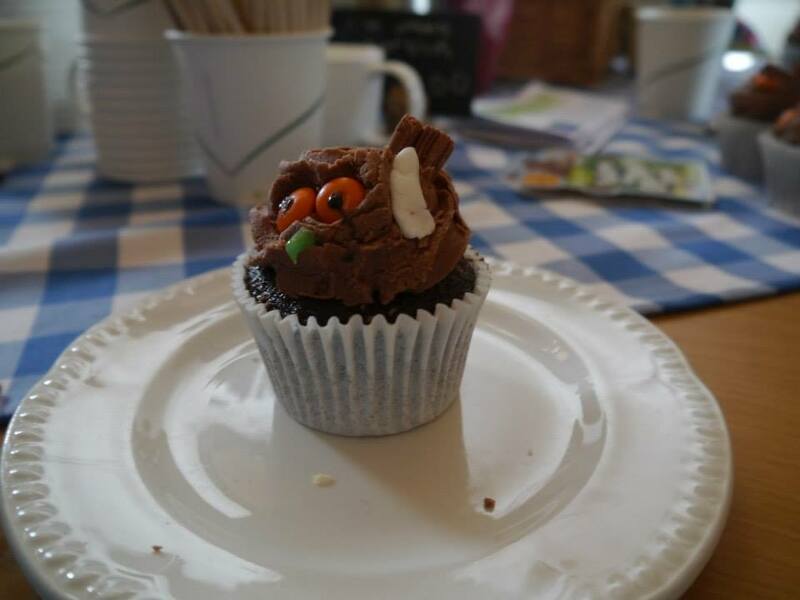 Followed by some yummy food and decorating our very own Gruffalo cupcake... It all went down a treat! 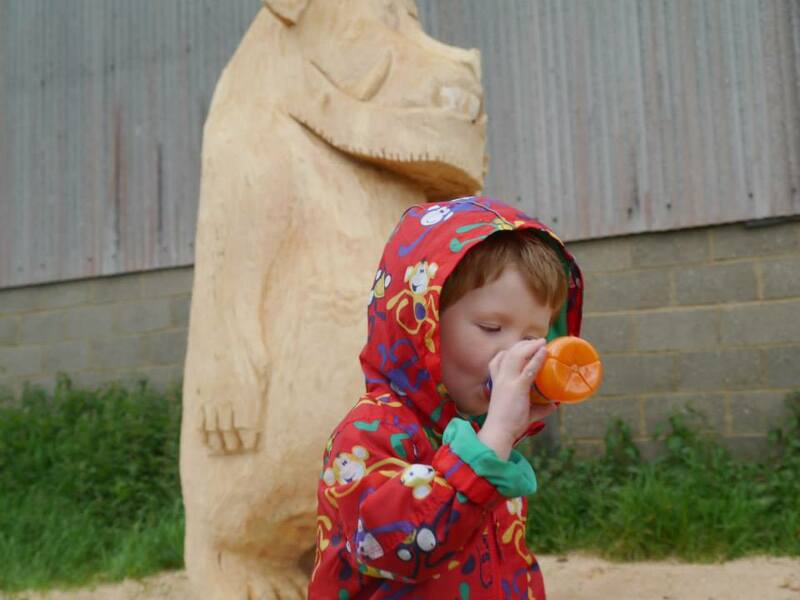 Now it's your chance to join in the Gruffalo celebrations, pack up your Gruffalo themed picnic and join the party at one of the 15 sites as of 7th June. Where you can go on the hunt for the mouse, snake, fox and owl... Then go wish the wooden Gruffalo a very happy birthday! Stuck for party ideas why not take a look at our Pinterest board! *we are lucky enough to be forestry commission bloggers, and were invited to this exclusive event and received a goody bag. This does not in anyway effect our opinions.